Waahhooo! My Bonita Beach buddy Carla Barone found a JUNONIA on Barefoot Beach!! She said, “It has a lot of character, with his big jagged scar and the lip is a little broken but, yea…WOW!! Happy dance!!!”. It is so fitting that she found her first JUNONIA on her own “stomping grounds” because I think she knows Barefoot Beach better that anybody on the planet. She’s the Barefoot ConShella! Spectacular character and fanatic find. Congrats, Carla! Wow! Beautiful! Must be an amazing feeling to find a shell like that. One day I’ll get back to Florida again. Wow! Congrats. Yours is a lot prettier than the one I found. Amazing! Thanks! I found it at low tide near the pass on the southern end of Barefoot. There were all these little half buried piles of pen shells and other big stuff I had been digging around, in about a foot of water. The junonia was just laying on top of one of these piles. When I saw those spots winking at me thru the water I nearly jumped on top of it! What a terrific find! We’ve found a number of alphabet cones but only fragments of junonias. Hey, you guys, leave some for us. We’ll be back in 3 weeks. LOL…I think Barefoot ConShella is perfect for Carla! Congratulations, you SO deserve to find a Junonia! Thanks, Pam for blogging about our friend! Love you Christine! Next time you come down, we’ll go there! You’ve got a date! Trying to finaggle a trip for December…we’ll see, would love it to be sooner! Congrats (again) Shell Sistah! Now it is your mom’s turn to find one. From 1 Carla to another … Congratulations on your beautiful find !!! And look at the size of it … WOW !!! Oooo! A Christmas present! I hope it works out~I would love to see you guys again! Hugs! that is great, where is barefoot beach? Lovely! Congrats! I’m coming down tomorrow for some shelling and R&R. Hoping to see a few shelling sisters wearing their I love shelling apparel! Pam, If you are around I’d love to meet you. Congrats!!! A Junonia is a wonderful treasure!! Hi Min! Its just a little bit south of Sanibel off of Bonita Beach Road. It does cost $8 to park but its so worth it! There are 3 large parking areas. Go to #3 for easiest access to the pass where the good stuff is! There’s a butterfly garden, concessions and a pavilion full of displays of all the neat shells and creatures you may see at the 1st parking area. One of the best things is how its all natural..no high rises, just palm trees, sand and water. Oh and shelling good enough to rival Sanibel! Gotta check this one out! Coming down again the last 2 wks of June – Hey – that’s THIS MONTH!!! Can’t wait. Congrats. Carla. You must be thrilled. Hey! I’m heading down to North Captiva Island On June 30th. When will you be there again? P.S.- I have a really important question, I’d appreciate anyone answering! So, I was looking at dangers in the Guld of Mexico, and I read you can’t take sea shells on Sanibel. I’m pretty sure they meant LIVE shells, but they didn’t say that, and I just wanted to ask: true, or false? Thanks! I LOVE SHELLING! Julia, You can not take any live shells from Sanibel. However you can take all of the empty ones you want. 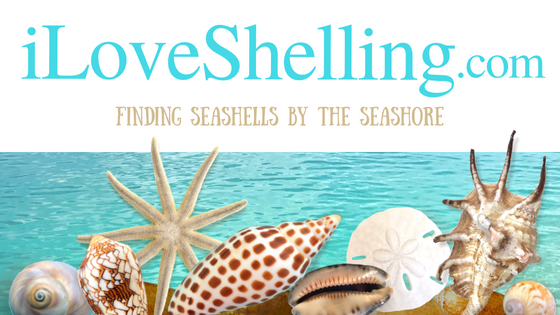 Enjoy your trip and happy shelling! Congratulations, the thrill of finding a Junonia lasts for weeks!